If you have a project that requires access to inter-tidal areas, or coastal transportation, we supply hovercraft hire at competitive rates. Let us quote you for your next project. We manufacture and provide larger 7-seater commercial hovercraft hire, and can ship to any country. We can train your own personnel, or provide trained staff. 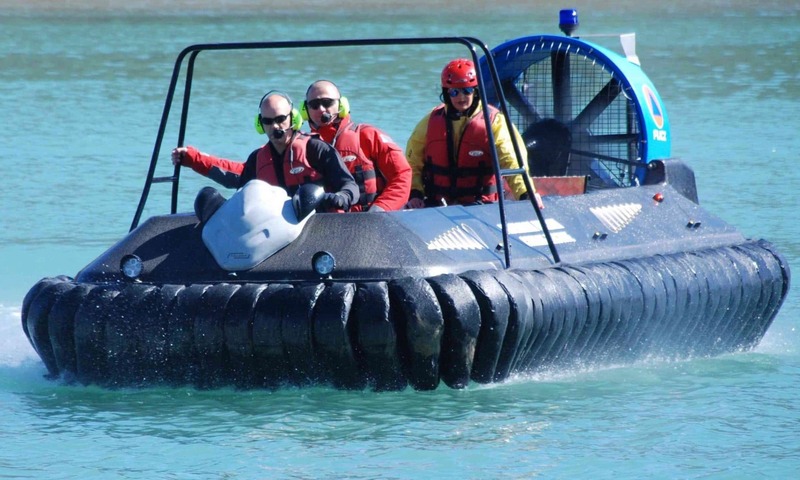 Our commercial hovercraft are manufactured from Carbon Fibre and HDPE, not glass fibre as supplied by hobbyist leisure / hovercraft producers. Our commercial hovercraft have front and rear safety guards fitted, underside protection / Kevlar, kill cords, anti-plough skirt system, flat bottom profiles for stability.